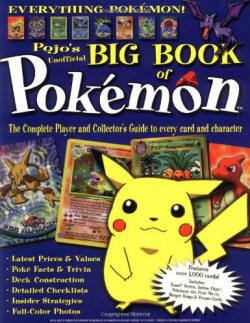 So, who remembers our Pojo’s First Big Book of Pokemon? 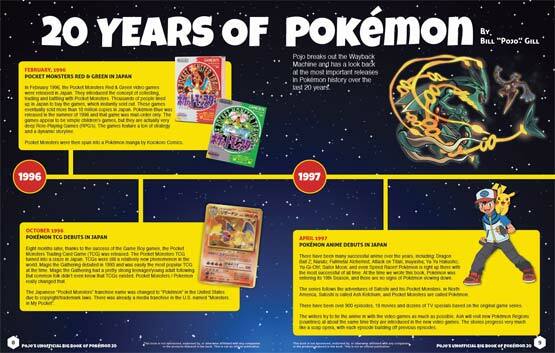 Pojo’s Big Book of Pokemon was released in February of 2000. It was 356 pages long and covered the first few years of the Pokemon craze! Scans, tips and reviews for every single U.S. card from Base Set, Fossil and Jungle. Photos and ratings of all the Japanese cards released at the time: Base Set through Gym 2. 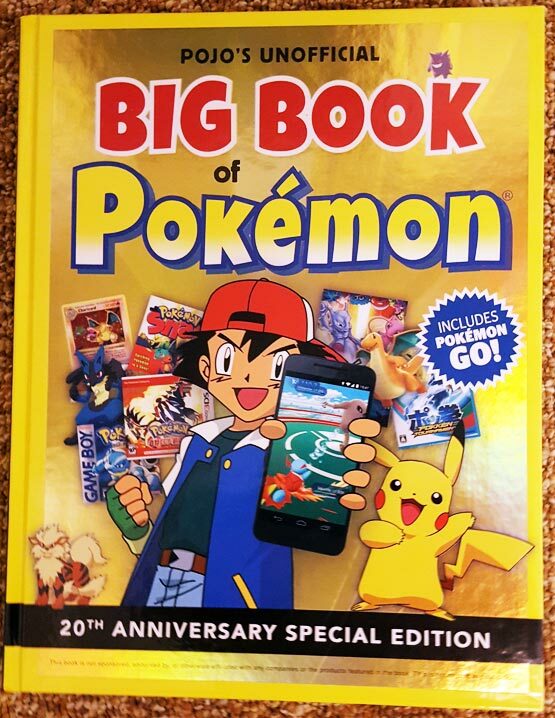 We recently celebrated the 20th Anniversary of Pokemon, and we figured it was time for a Big Book of Pokemon 20! 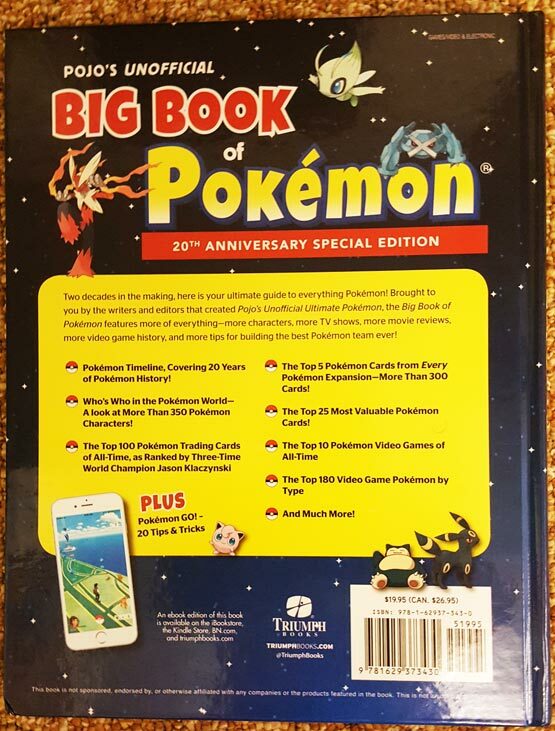 We’ve partnered up again with the great folks at Triumph Books to bring readers up to speed on the first 20 years of Pokemon! The folks at Triumph gave us 196 pages this time around, and printed the book in hardcover format! And the book is drop-dead gorgeous! The book has a gold foil embossed cover, and makes for a great coffee table book! Since you can’t judge a book by its cover, lets give a sneak peek of what you’ll find inside. 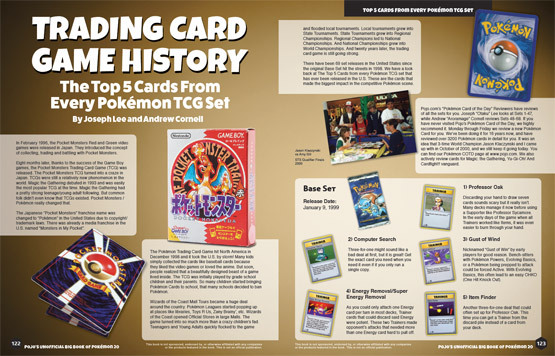 The first 40 pages of the book are dedicated to a chronological Pokemon Timeline of Product History covering everything from video games, to trading cards, to board games, etc. etc. 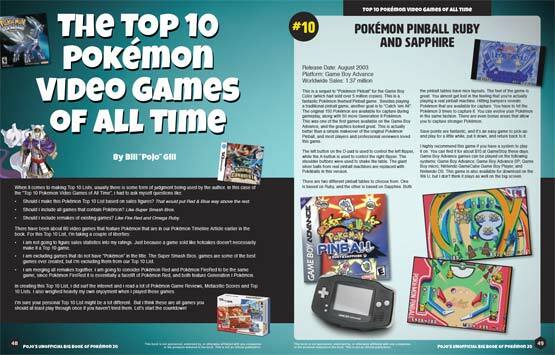 Next, we review and rank the Top 10 Pokemon Video Games of all time. There have been 73 video games that feature Pokemon ranging from Pokemon Red & Blue – on the original Game Boy, all the way to Pokken Tournament – on the Wii U. We narrow it down to the 10 best video games you can play! Top 10 Pokemon Video Games of All Time! 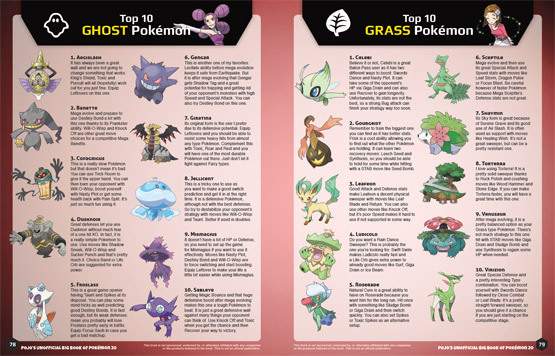 Then Reeve lists the Top 10 video game Pokemon by Type. There are 18 types of Pokemon, so Reeve has a look at 180 different Pokemon you should be using when you play. Next, 3-Time Pokemon TCG World Champ Jason Klaczynski gets in on the action. 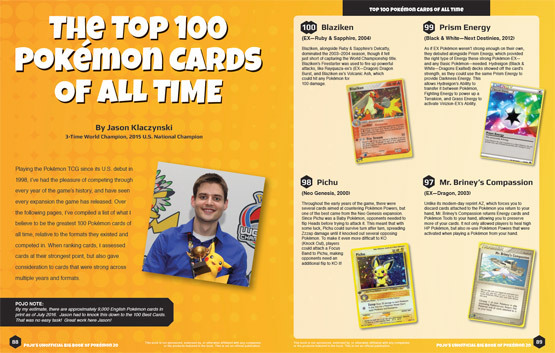 Jason counts down the Top 100 Pokemon Cards of all time! 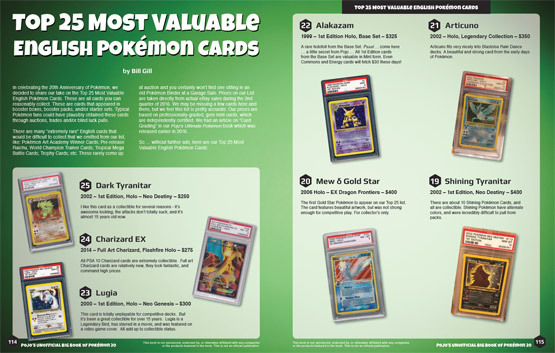 Then Bill has his rankings of the Top 25 Most Valuable U.S. Pokemon Cards! What comes out on top? Then we move on to Trading Card Game History. Andrew and Otaku from our COTD section have a look at all 68 Pokemon TCG Sets that have been released since Base Set 1. They review the Top 5 cards from each set! That’s more than 300 card images and reviews! 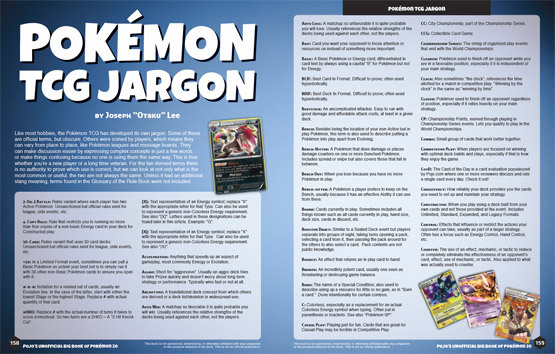 Having trouble with your Pokemon TCG Jargon? Otaku has a look at the Pokemon slanguage so you can talk like a Pokemon Pro! There have been 19 seasons of the Pokemon Anime already. 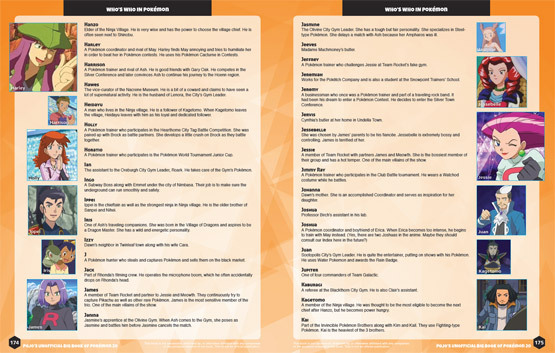 We have a look at “Who’s Who in the Pokemon World”. We have bios and images of more than 350 characters from the Pokemon Universe so you can jump into the anime at any time. And we can’t forget Pokemon GO! 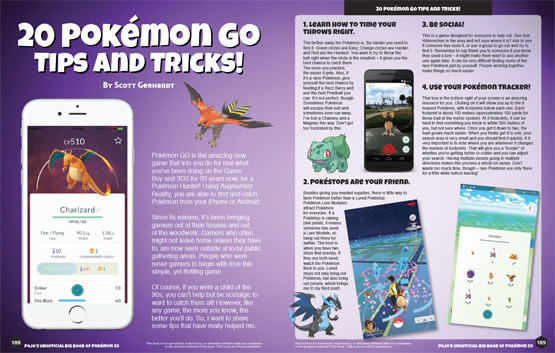 Scott Gerhardt has 20 Pokemon GO tips and tricks for you. Our Overall thoughts: C’mon, we’re biased! This is a beautiful hardcover book, that would make a great coffee table book! You can pick this book up from Amazon for $19.95, and we think you’ll get great deal of enjoyment out of it. There’s a lot of history banded together here. And there are a lot of fun articles inside. If you liked our old Monthly Pokemon Magazines, you’ll love this book! Here’s a look at the back of this beautiful hardcover.